The summer days are packed! I am forever losing track of time and rushing to get dinner ready. Since I started my gut healing process, it is important to me that we don’t end up reaching for fast food. 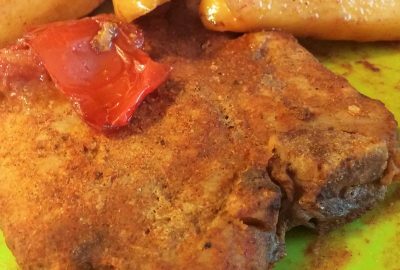 It is also essential that I eat high quality meat without antibiotics in them and a lot of veggies with every … Continue reading A Quick & Super-Yummy Pork Chop Recipe for Busy Days.